Soup--whether you have a cold, or it is very cold outside-a hot cup of soup will make everything better! I always have prepared soups on hand for those times I just don't feel like making it homemade. 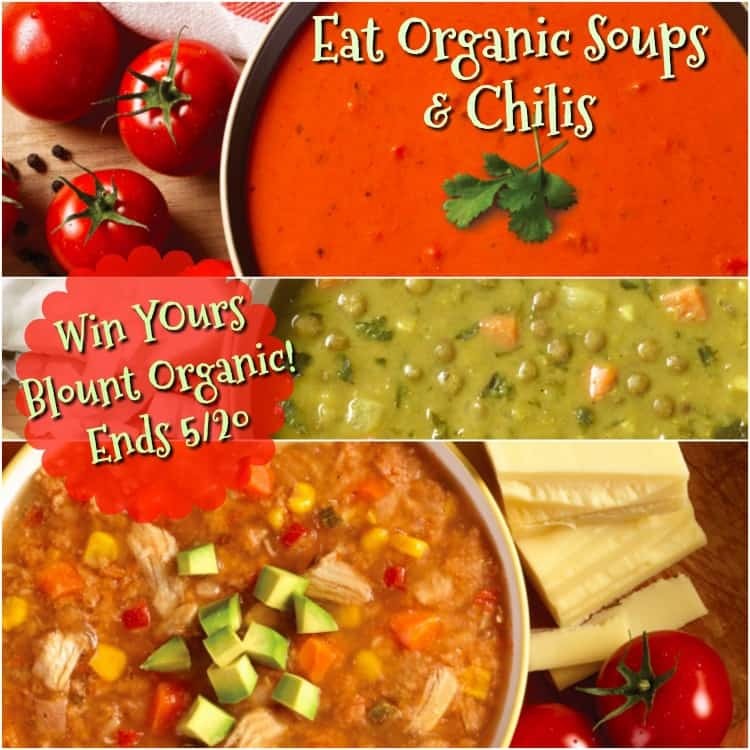 What I really love about these soups is that are made from organic ingredients--just like I make it when I make it myself-but without the fuss and bother. I make all kinds of soups and stews at home. I make chili, gazpacho, split pea soup, Senate White Bean Soup, gumbo, beef stew, etc. I make Soups and Chili's quite often. As far as soups go, we like Roasted Tomato, Butternut Squash & Chicken Pot Pie Soup, served with pie crust strips...for starters :) We love all kinds of Chili, Turkey, Ground Beef, and Beef chunks...with Beans, of course! I like to make wild rice & chicken soup at home. I love creating different varieties of chili and soups but my all time favorite is old fashioned chicken soup! I love soups with noodles and lots of veggies. My favorite is Taco Soup and Chicken Noodle Soup. I make homemade soup year round! It so worth the extra work because it is delicous! I love to make soups and chillis at home, I think my favorite is hamburger soup. I like Split Pea soup and Zuppa Tuscana soup the most of all soups.